Here is a section of an expert wikipedia article on Quartodecimanism that deserves special attention. 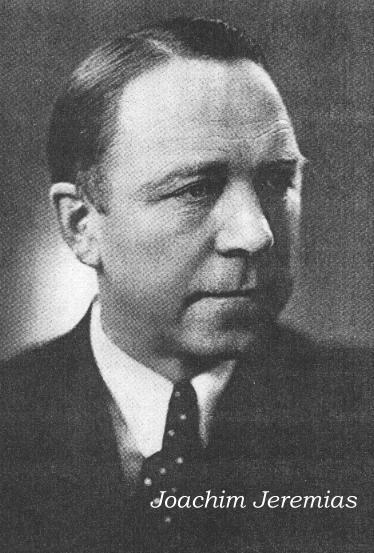 The selected text refers to the unique contribution of German New Testament scholar Joachim Jeremias (1900-1976) on Gospels and Early Church. The section contains deep insight into the relationship between the Jewish Pesach and early Christian Paschal celebration. In his study, The Eucharistic Words of Jesus, the Lutheran scriptural scholar Joachim Jeremias, made a compelling argument that the Quartodecimans preserved the original understanding and character of the Christian Easter/Passover celebration. For Christians, the central events of the Paschal Mystery of Christ, i.e., his passion, death and resurrection, also are obviously associated with Passover. Thus it was inevitable that the very earliest Christians also expected the imminent return of Christ to also occur during their Passover celebrations. Jeremias notes that the Quartodecimans began their Christian Passover celebrations by reading the appropriate readings from the Hebrew Scriptures, i.e., the twelve readings from the Hebrew Scriptures that still are read at the Easter Vigil in the Roman Catholic, Eastern Orthodox and Armenian traditions. At midnight, when Christ had not reappeared to inaugurate the great eschatological banquet, the Christians would celebrate the Paschal Eucharist in anticipation of that final act of the drama of the redemption of Christ. As this original eschatological fervor began to die down and as Christianity became an increasingly Gentile movement this original eschatological orientation of the Christian Passover celebration began to be lost and with the development of the practice of baptizing catechumens during the twelve readings in order for them to share the Eucharist for the first time with the Christian community at the conclusion of the Paschal Vigil, the baptismal themes came to dominate the celebrations of the Paschal Vigil, as they do again in those churches which have begun again to baptize its adult converts during the Easter Vigil. Major liturgical scholars such as Louis Bouyer and Alexander Schmemann concur with Jeremias' essential position and one has only to examine the Christian liturgical texts for Paschal Vigil to see evidence of this. E.g., the Eucharistic Preface for the Easter Vigil in the Roman, Lutheran and Anglican/Episcopalian traditions, which state: ". . . on this night when Christ became our Passover sacrifice"
or the Eastern Orthodox Troparion for Great and Holy Monday, Tuesday and Wednesday, which warns the Christian community "Behold the Bridegroom comes in the middle of the night and blessed are those servants he shall find awake . . ."
In short, no one knows when Christ will appear at the end of time, but given other central events of redemption which occurred during Passover, the earliest Christians assumed that Christ would probably appear during the Paschal Eucharist, just as he first appeared to his original disciples during their meal on the first Easter Sunday.